With a 6:1 student to instructor ratio, students are taught by experienced industry professionals from MakeSpace and Google; some are also coding bootcamp alumni. Students will be immersed in a hands-on approach to learning – First Step Coding will show brief demos and then give students opportunities to apply new concepts through progressive challenges. This course is designed for complete beginners. To apply, prospective students will need to fill out an online form and have a quick phone call with the First Step Coding team. Fantastic way to get started with coding! It's tough to attend any in person coding program when you are a parent. Add single parent to the title and it's even more difficult to balance and find an appropriate sitter to watch your kids while you go code for a few hours. The team at First Step Coding is ridiculously accommodating and supportive. I'm a single parent of two and at times, I couldn't make the in person teachings but my instructor made sure to make himself readily available to keep me on track with the rest of the students via a 1 on 1 online tutoring session. This type of flexibility and accommodation is not available in other bootcamps. The way the curriculum is setup with the addition of educational videos and knowledge check points really helped me grasped what I was learning. Their were definitely some challenges, however the support from the instructor, TA and team at First Step Coding, really helped me get through. I had always wanted to code, but I knew next to nothing about programming languages, problem-solving, etc. After starting with a few free resources, I looked into finding reputable and structured programs that could help me to the next level. First Step Coding provided me with the opportunity to participate in some live, online classes with helpful teachers and other students also interested in starting their journeys as coders. I felt like the classes were simple to follow and the materials, homework, and projects gave me the knowledge and experience I needed to establish a foothold in programming while guiding me toward my second step. What I learned in First Step Coding not only in terms of languages, but also problem-solving methodology has already helped me to feel empowered and successful in the initial stages of the boot camp I started in the past few weeks. I think what First Step Coding offers is great for people looking to gain skills in web development and further their education for the purposes of enhancing their current career or future career opportunities as well as for their own satisfaction. As a business student in Finance and Information Systems, I never had the confidence to enroll in a computer science class. First Step Coding gave me the fundamentals and knowledge to tackle many programming challenges as well as the confidence to apply to top bootcamps around the US. Instructors are there to help you through any problems as well as other questions you might have about programming! If you are completely new programming, First Step Coding is definetely a go to! As a Sales Rep in the Greater Boston Area, I’ve had a fair share of hands on experience with technical products and demonstrations in my field. So when it came time to make a switch to a more technical role, theres only so much you can teach yourself about coding from 101 websites or YouTube. Sure there are outstanding bootcamps in the area, but I wasn’t sure if that was something I was ready to invest full time or serioius money in. When I came across First Step Coding, their curriculum checked most if not all of the boxes on the job requirements I was interested in, so it was a no-brainer! Their instructors are experts in the vast amount of material covered in the course, and made themselves available after hours for questions with any assignments or topics. I’m confident having completed the course that it gave me the competitive edge adequate enough to establish myself as a technical sales rep and land a job in that field. First Step Coding was an excellent intro course that helped solidify my interest in coding. The teachers were very encouraging and I found myself motivated to learn more about programming after each lesson. The amazing thing about First Step Coding is that it allows you to get into programming with little or no prior knowledge of how to code. Whether you're interested to learn at home by yourself or through a company, it can be stressful and hard to take that first step to learn how to code. That's where First Step Coding comes in, as they offer an excellent support system to take that plunge and pursue coding. Thanks to everyone at FSC, I am now two months in at an intensive Full Stack Web Development bootcamp based in Tel Aviv. Great way to start your coding journey! I was not sure what to expect when I first signed up for this course. I had been thinking about attending a bootcamp to learn to code and to have a career change but was not sure if it would be a good fit for me. First Step Coding was an excellent way to test out the waters while keeping the current job. They have small classes (we had 5 people in mine) which was also very nice and I felt comfortable asking questions to the instructor during and in between the classroom sessions via Slack. After the 4 week Intro course, I found coding to be quite fun and enjoyable and now I've signed up for a bootcamp with one of their bootcamp partners (I received a discount off the tuition for being a FSC alumni, amount varies depending on the bootcamp and also seems to be changing constantly so probably should check the FSC website for updated info). I would highly recommend the course to anybody who is interested in learning to code - I think it gives you a good foundation to work with and also gives you a chance to see if you like coding at all! Congrats again on completing Launch Academy and getting hired as a developer! We hope you're loving your new career! First step coding was a great thing for me, they have created a great environment for entry level coders yet at the same time give you the tools that give you the capability to expand as far as you like.I felt comfortable asking the same question 3 times from 3 different angles If i really had to. My hats off to Andy and everyone for making this program a program with a great student to teacher ratio and also having the one-on-ones which are really helpful. Highly recommend this to anyone interested into learning coding it has been great learning experience. Want to thank Calli for helping me throughout the course and special thanks to my professor Jake an awesome individual with much dedication to make sure you are learning and taking what you need to take from the class. Also want to thank Arthur who was a great ton of help in the moments you need it the most.I had a fun time learning at this program. Great course with fantastic instructors! Excellent prep for applying to bootcamp. 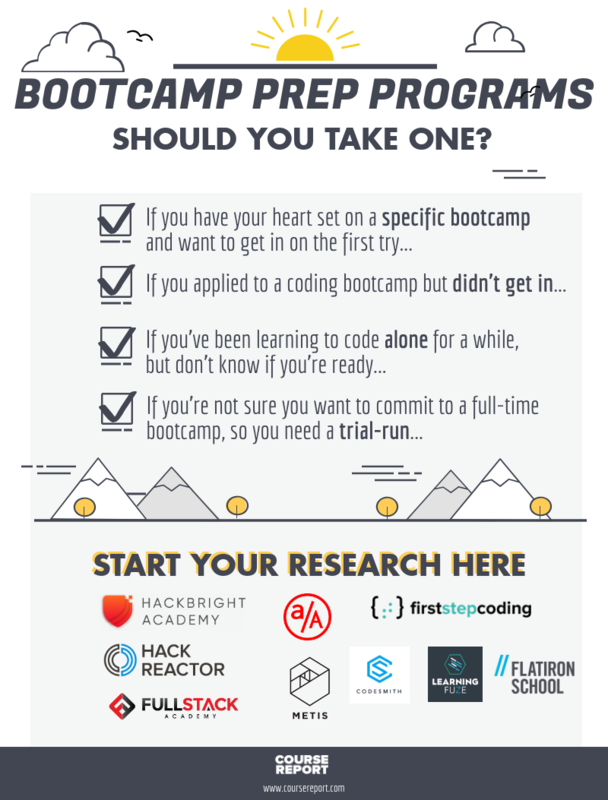 TL;DR Totally worth the money if you want to apply to a top bootcamp; it was a much more effective way to prepare than using free online resources. When I was trying to learn to code on my own, I wasn’t sure what to prioritize and wasted a lot of time bouncing between different resources. First Step Coding has a great beginner-friendly curriculum that helped me build a much stronger foundation in key concepts. The class size is small (my class had 6 students), so you get a ton of one-on-one support during class, and the instructors are available for office hours outside of class. Both instructors--Kurt and Andy--have a great teaching style. As opposed to a lot of online resources where I felt like I was just copying lines of code without understanding why, Kurt and Andy asked a lot of questions about my code to make sure I understood the concepts. When something wasn’t working, they always asked me questions to prompt me to identify bugs on my own and learn to fix them myself. We also did a lot of pair programming during the class. I found that, with all of these opportunities to talk out my thinking as I was coding, I made progress so much more quickly than I ever would have on my own, and now I feel much more prepared for bootcamp interviews. The class also connects you with tons of high quality online resources to continue learning on your own. Once my First Step Coding course ended, I started working through interview practice problems for Hack Reactor and also learning Ruby (another programming language). I found that I was able to able to progress through the material ten times faster after getting a strong foundation from First Step Coding. 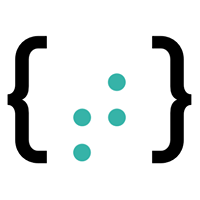 I also highly recommended signing up for the longer class that includes the “bootcamp prep.” This part of the class involves a project where you create your own web application. You also get to participate in a mock interview, which I found incredibly helpful in terms of feeling prepared to apply to bootcamps and knowing what to expect. You will find people with a wide range of backgrounds coming into this class. I personally had substantial experience working with data in excel (as well as some SQL experience) so many of the concepts came easier to me than they did to most of my classmates. This did not turn out to be a problem because the teachers were willing to provide me with more challenging exercises as well as guidance on advanced topics to learn so that I didn't get bored. The more time and effort you put in to this course, the more you will get out of it and the teachers are willing to help you learn as much as you can (even if the concepts extend beyond the core curriculum). It was the quality of the teachers that impressed me most about this course. For those curious about the online course vs. the in-person, I say go for the online and save your $500. I was signed up for an in person class because I was worried about the online classroom dynamics, but then switched at the last minute and am so happy I did. It allowed me to skip the commute (I just worked from a conference room in my office) and it really did feel like being in a real classroom. I can't imagine that I would have learned any better being in a real classroom. Final thing: I am extremely happy I took the prep course vs. the intro to coding class. It was the process of building your own web app that makes the big picture come together. Sure, someone who did the intro course can probably build a web app as well, but I'm not sure how easy it would have been for me to connect all the dots without the extra instruction. I found the exposure to APIs was especially helpful. There are courses on coding and there's First Step Coding. Designed for those with zero experience in computer programming-- over the course of the 4 weeks FSC provides a clear, organized, and straightforward introduction on the basics. But it doesn't stop there. FSC is unique as an introductory course in its immersive and networking-based class model. With FSC you dive in from day one-- working both with peers and teachers while getting the chance to tour and network with people at several bootcamps (Hack Reactor, App Academy, Rithm School, to name a few). And lastly, you have Andy. One of the reasons Andy does what he does is because he genuinely loves to teach and work with others. You can tell. I'm in the process of applying to programs now and Andy continues to give me advice and help me with interview prep. If you're looking at getting involved in coding, I promise you, this course might be one of the best decisions you can make! Getting into coding can be intimidating, and with so many resources available online, it can be difficult to know where to start. Starting with a structured course is a great way to incorporate accountability, join a community, and build confidence. The foundation I got at FSC was not enough for me to apply to bootcamps straight away, but it did give me the confidence and knowledge to sort through the many (free) resources available. Fun and Rewarding Experience - highly recommended! I had been contemplating a career change from business to software development for a while. Before committing to a full-time bootcamp, I wanted to make sure that I would enjoy coding as a full-time job. FSC's twice-weekly evening classes fit into my schedule and needs perfectly. I had a blast in class! I loved that the majority of time was spent pair-programming. Coding is hard, so being able to work with another person helped my understanding of concepts through another person's eyes. Kurt, our instructor was also kind and incredibly patient. Most importantly, I learned the fundamentals well enough to be able to apply to some top bootcamps. I got into my first choice and will be starting in the fall. I couldn't have done it without FSC! Thanks Erica! 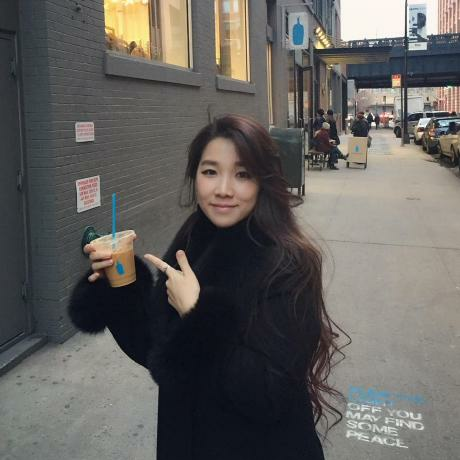 We're so proud of you for getting accepted at Flatiron School in NYC! Can't wait to see where your training takes you. Thanks Taylor! Congrats again on finishing Startup Institute's program earlier this year! It's been great keeping in touch and seeing some of the freelance development work you've done. I found all the teachers extremely approachable and never hesitated to talk about conceptual roadblocks I faced along the way. The team at First Step Coding is dedicated to help you learn. That is not only their motto on paper—it's evident in their attitude toward every student. I strongly recommend the online learning platform, as well. Not only does it allow you to attend classes after a long day of work, it also offers access to recorded classes that you can revisit to brush up questions/concepts that require a deeper understanding. The accountability aspect of the course helps drive confidence in students, who are pushed to tackle 5-10 questions on new concepts learnt on a weekly basis. By the end of the course, students like me start feeling more confident about the distance travelled. I am now in the process of applying to reputed bootcamps in New York City based on my training with First Step BootCamp Prep! This was a fantastic course. We covered key coding fundamentals that helped me build an understanding of programming. There are great instructors that are more than willing to give you 1 on 1 time to work through problems. Start to code with First Step Coding! 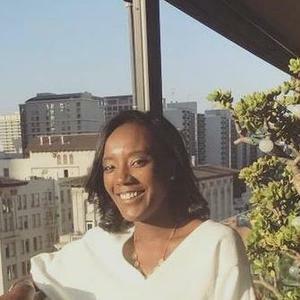 As someone who worked on the sales and marketing side of a boot camp, but never actually learned any programming skills myself, I was anxious about finally putting myself in the position of a student and learn how to code. I signed up for First Step Coding because I read other positive reviews online. I was thoroughly impressed by First Step. Within a short amount of time, I found myself understanding concepts that had previously been exposed to buy for whatever reason, never actually grasped. The instructors were fantastic. The content was delivered in a way that was challenging -- in a good way. The pase of the glass was great. And I was pleasantly surprised to see Andy, the founder of First Step Coding, actually there in the classroom to help students and make sure the class was being ran effectively. As someone who doesn't plan to become a full fledged professional developer, I finally feel like I have a solid, basic understanding of coding to at least be able to more effectively communicate and work with developers. I highly recommend First Step to anyone who's looking to get started with coding, regardless of whether or not they plan to fully pursue coding as a career. First Step Coding teachers make the basics understandable! Sarah Kaplan was a high school English teacher for 6 years before realizing that she was excited about the way technology could support education and wanted to transition into a more logical, problem-solving role. 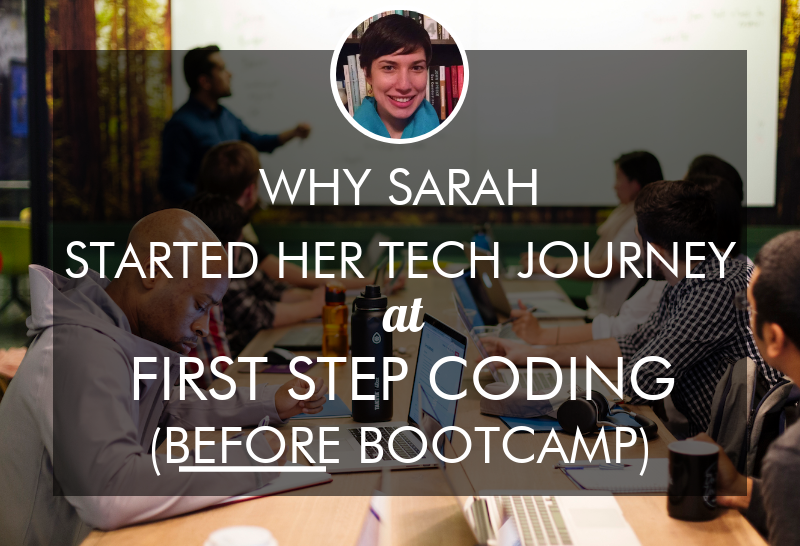 But because she was a beginner, Sarah didn’t dive immediately into a coding bootcamp; instead, Sarah chose to attend First Step Coding’s part-time 8-week, Bootcamp Prep course to jumpstart her learning and prepare for the Rithm School application. Find out what Sarah is up to today! What were you up to before First Step Coding? I have a bachelor's degree in English and a master's degree in Education. So for the past six years, I've been teaching at the high school level, both English language arts and special education. So why did you want to change your career path and learn how to code? Using different apps in my classroom really sparked my interest in coding – I got excited about the way technology could support student learning. And as a teacher, I saw how my school district was using data analysis software, and how it was shaping education – technology had a real influence on choices about assessment and school structure. 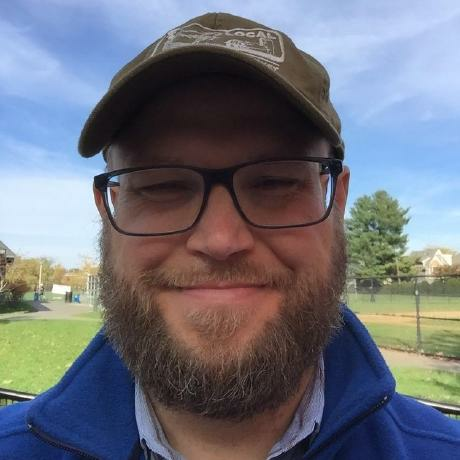 That technology could also sometimes be problematic, and I wondered if I could build software that generated more meaningful data about student learning. I also saw my students interact with cell phone games and started thinking, "What if I could build a game that was as exciting as Fortnite, but helped promote literacy skills." I got curious about what I could build if I had a programming skill set. At the same time, I had this hunger for more logical problem-solving that I used to do when I was younger (in middle school, I used to go to mathlete competitions)! I started with Python and found that I was feeding that part of my brain that used to get really excited about math, and I was really enjoying it! What was your biggest challenge in your journey to learning how to code? Because I had so little experience when I started, one of my challenges was knowing where to start. I spent a lot of time researching different resources and read a lot of advice on the internet saying, "Oh, just start a project and then, figure out the next step." But when you don't have any background in coding, you don't even really know what kinds of projects are possible, or what you should start with first. I finally ended up starting a great Python course on edX called Introduction to Computer Science and Programming Using Python. But even while I was working on that, I kept thinking, "Should I be learning Python? Should I learn another language first?" So having a class like First Step Coding with curriculum laid out was really helpful. They outline and create a structure for steps to follow as you're learning. What made you decide to do First Step Coding first, before you took a full-time coding bootcamp? I did some research about coding bootcamps and was interested in a few, but it was a big leap to leave my current job to do a bootcamp. It's a big financial investment. When I came across First Step Coding, I thought it would be both a good way to prepare for the bootcamp application process and solidify that a coding bootcamp is something I really wanted to do. First Step Coding also appealed to me because their courses emphasize pair programming. Coding collaboratively with another person really helped solidify my understanding of the concepts we were learning and gave me insight into what it might be like to work as part of a team in a job setting. Accountability was also a factor. When you're working full-time, it’s hard to carve out a solid amount of time after work every night to teach yourself how to code. But having a class that I paid for, with other people there, helped keep me accountable. I did the in-person First Step Coding course in Boston, so going to a physical location with people and spending that time focused on coding was a good way to accelerate my learning. You're starting at Rithm School in September – congrats! Did you apply to Rithm School before you chose to do First Step Coding? I'm so glad that I did First Step Coding because that's actually how I found out about Rithm School. First Step Coding partners with bootcamps, so you can apply your tuition to one of those bootcamps if you end up attending. I was able to apply 75% of my First Step Coding tuition towards my Rithm School tuition. In First Step Coding’s bootcamp prep program they have guest lectures from different instructors who teach at full-time bootcamps. So one of the instructors from Rithm School did a guest lecture and I really liked his teaching style. From there, I investigated the program a little more. Rithm School has final projects working with an existing code base from an actual company – that was something really different from a lot of the other bootcamps I looked at. It really appealed to me because it was a more real-world experience than building your own app. I did all of my bootcamp applications after First Step Coding. At the end of their bootcamp prep course, you have the opportunity to complete a mock interview and get feedback. The mock interview definitely helped me feel more prepared when I applied to bootcamps. I was hesitant to actually click the Apply button and start the application process because I felt like, "Oh, maybe I'm not ready yet. Maybe I should keep learning more." Once I actually did the interviews, I realized that I knew more than I thought; the experience was pretty similar to the mock interview and I actually felt very confident about how to solve the problems that I was given. Was it hard to get accepted to First Step Coding? How was the application and interview process? I don't think it's that hard to get accepted because their program is really focused on people who are exploring and learning how to code for the first time. You do a call with someone from First Step to talk about why you're interested in learning to code and what your goals are. And they tell you a little bit more detail about the program, so you can make sure that it matches with your goals. Then there's the option to attend a free online class called the “OnRamp” if you want more information. Applying to First Step Coding is not like applying to a full-time bootcamp where you have to do a technical interview and solve problems because they know that people taking their prep course are trying to gain those skills. How many people were in your cohort at First Step Coding? Was it diverse in terms of gender, race, and career backgrounds? It was a fairly small group. There were six students – myself and one other woman, and then three men. It was interesting to interact with the other woman in the class because she seemed excited that I was there, and wanted to talk about being a woman in tech. She had this sense of urgency around being welcoming in a way that hadn't occurred to me before. Being a teacher, 90% of my colleagues are women, and I've only ever had female bosses, principals, and administrators. I've never actually worked for a male superior, so that will be different. I'm definitely anticipating that this will be a big shift as I start a full-time bootcamp and then start my first job. My cohort had diverse goals too. Some were planning to apply to bootcamps, and some were staying in their roles at their current jobs, but wanted to be able to communicate more effectively with developers. Tell us about the learning experience at First Step Coding? What was the teaching style and what did you actually learn? I liked that First Step Coding had an in-person class in Boston. They also have a really small class size so you can get a ton of personalized attention, and a strong focus on pair programming. The second half of the class is more project-based. We got a little bit of starter code and then we got to build our own movie finder app, where we had to take user input and make a call to an API to bring back data about movies that matched the user’s search criteria. We could customize what information we wanted our app to display, and how it was going to look. I really liked building the movie finder app – it was the first time I worked with an API. Interacting with an API felt like I built something real; I could collect information and display it for a user. That was pretty cool. Also, I got motivated to read a lot more technical documentation through that project. 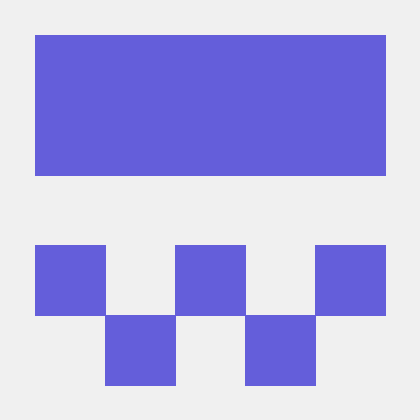 I used Stack Overflow to figure out how to make a summary when you hover the cursor over a movie. That was probably the hardest thing that I tried to do; it was fun to figure it out. Did First Step Coding help you with the application process for Rithm School? First Step Coding also emphasizes teaching strategies for problem-solving and introducing different resources that students can use when they are stuck. After the class ended, I continued to use a lot of these resources as I was preparing for bootcamp interviews. The emphasis on how to approach and solve problems also made it easier for me to explain my thought-process aloud when I was interviewing. What are you doing now before you start at Rithm School? Rithm School gave us pre-work with specific projects that I'll probably get access to some time in the next couple weeks. My program doesn't start until September so I have another two months to prepare. For now, I've been using Rithm School’s online course, continuing to practice on Codewars, and I’m also doing some MOOCs on edX. I’m moving from Boston to San Francisco and I'm really excited about it. It’ll be a big change, but I'm really looking forward to it. I think I'm going to learn a lot – I chose Rithm School because it seemed like the program that I would learn the most in. What advice do you have for people considering a bootcamp prep program and a full-time bootcamp? If you have the opportunity to take a prep class like First Step Coding, go for it. It accelerates your learning so much to have instructors who can answer your questions. And you’ll have the opportunity to pair program and work with other people on your code. Also, practice a little bit every day, especially during the application process. If you stop for a week then it's easy to forget what you learn. Even if you can find 20 minutes a day to practice, that will help a lot. I definitely want to find a job in software engineering. It would be great to work on projects that are relevant to education--either software that is directly used by students and teachers in the classroom or maybe an online learning platform or a data tracking system that is used by school districts. But there are also really interesting projects outside of education--I am intrigued by mobile voting and curious about the work that is happening around trying to create a secure system. I’m sure I will continue to learn about all kinds of fascinating projects, so I am open to discovering something outside of education as well. We caught up with Sarah after enrolling into a full-time bootcamp! Now that you’ve been with Rithm School for over a month, are you learning the same stack/programming language you learned at First Step Coding or a new one? How prepared for bootcamp do you feel compared with the other people in the class who may not have taken a prep program? There are several people in my cohort who have engineering or technical experience. I don't have a technical background at all, so I was pretty intimidated when the bootcamp started. However, once we started collaborating on projects and completing assessments, I realized that I was actually as prepared as the other students despite coming from a non-technical career. How has your previous background been useful in learning at a coding bootcamp? As a teacher, you spend a lot of time "backwards mapping" your curriculum – thinking about what you want your students to be able to do, how you would test those skills, and then planning what steps students need to take to get ready to pass that assessment. It turns out, that process actually translates really well to coding – I think about what I want to happen at a certain endpoint in my program (for example, what should happen after a user enters a guess in a trivia game), then I create tests that I can use to check that my application is returning the correct result; then I think about the steps that need to happen in order for my application to reach that result. It actually feels really natural to "think like a programmer" and, in some ways, I think that comes from my teaching background. What’s been the biggest challenge or roadblock in your journey to learn to code now that you’re in a full-time bootcamp? Now that you’re in the full-time bootcamp, what advice do you have for people considering a career change through a coding bootcamp? Do it! Being able to learn to code in this hyper-focused way is incredible. And if you're on the fence, try something like First Step Coding, where you create a small project. I think a lot of people who are considering a bootcamp get focused on preparing for bootcamp interviews and do a lot of practice with logic problems. This is important, but I'd definitely recommend creating some projects where you actually build an application. As part of the prework for Rithm school, I made a memory card game. It was a pretty silly little app, but I had so much fun creating something that I could actually show to my friends and have them play the game. Making those kinds of projects really helped solidify for me that this is something I love to do. Read more First Step Coding reviews on Course Report. Check out the First Step Coding website. Any other information you'd like to share with Calli from First Step Coding ? By submitting, I acknowledge that my information will be shared with First Step Coding . An email with these details has been sent to First Step Coding . You've already applied to this scholarship with First Step Coding .